Simply add boost pack to the storage container. 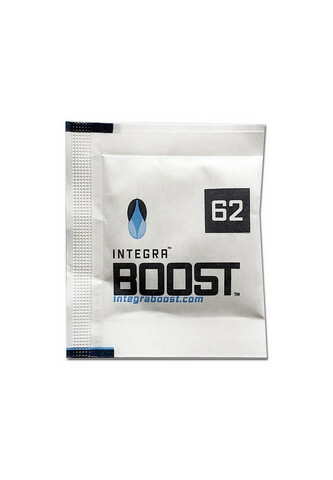 8g 'Integra Boost' are enough for up to 24g of flower. The enclosed indicator makes it easy to see when the relative humidity is no longer optimal and the boost pack needs to be replaced. The boost pack contains no salts. It is a plant-based solution with glycerol and water. The packaging is printed with foodgrade colours so there is no harm to the flower. The boost pack is also biodegradable, tear-resistant and splash-proof. It remains flexible and prevents the contents from leaking.